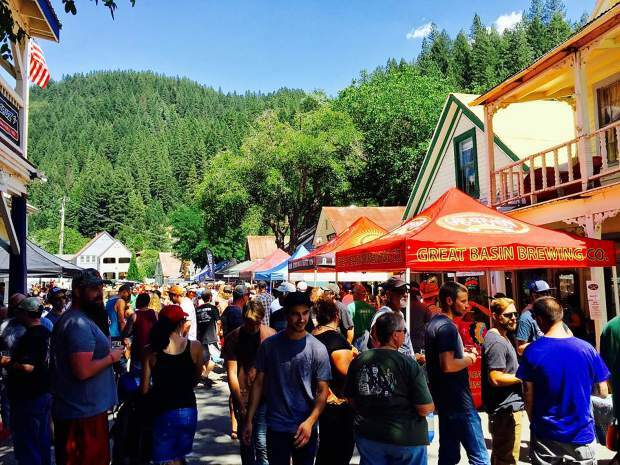 Downieville is holding its fourth annual brewfest in August. The fourth Downieville Mountain Brewfest returns August 11. The event will go from 2 to 6 p.m., in historic downtown Downieville on Highway 49, where the Downie and the North Yuba Rivers meet. Sponsored by Downieville Improvement Group, all proceeds generated from the event will benefit local community projects. Featuring 25 brewing companies from Northern California and beyond, the fest will feature Chicago-style blues music of Bob Mora & The Third Degree Blues Band from Rough & Ready. A number of food choices will also be available to purchase. For more information and a complete list of participating brewing companies, click here or visit the Facebook event page at Downieville Mountain Brewfest 2018. Tickets are $30 and available through http://www.brownpapertickets.com or in Downieville at several business locations. Tickets at the door will cost $40. Participants must have a photo ID to taste, and there is no charge for non-tasters or designated drivers. Shuttle service will be available from the nearby campgrounds for $5 each direction. No dogs will be allowed in the Brewfest area.